Come in for a great day of play in the snow with HNC members. Members enjoy free equipment use during this time along with hot beverages and cookies. This event is FREE for Hartley Nature Center Members. No registration required. Join a naturalist to learn all about the process of maple syruping. 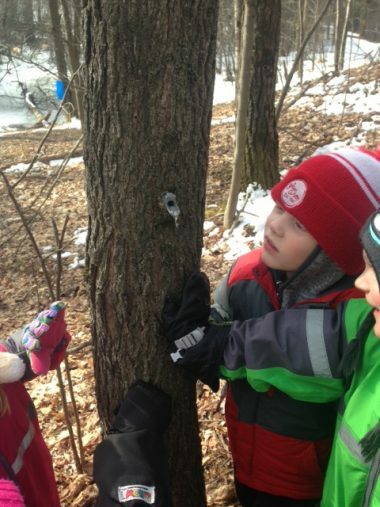 We will go on a hike to find some Maple trees to tap, taste some sap, watch it boil down, and end the program with tasting some real Maple Syrup! 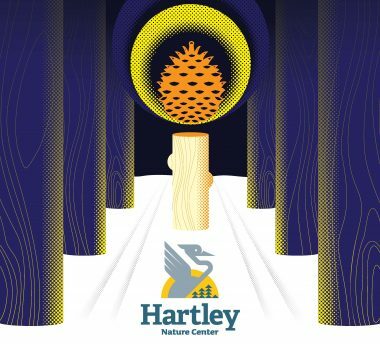 This event is FREE for Hartley Nature Center Members. Pre-regsitration is required. Do you know where the secret patch of bloodroot is? Can you tell the difference between an oak fern and an ostrich fern? Join a naturalist for a guided evening wildflower walk where we’ll stroll through Hartley Park, stopping to check what’s blooming or who’s singing. 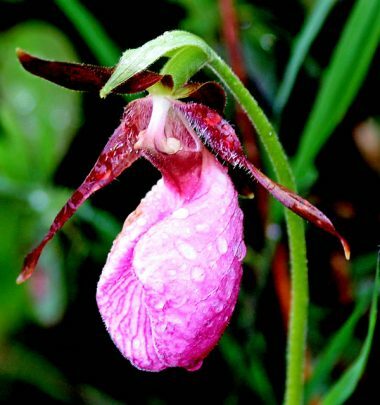 Learn tips on how to identify plants, fun folklore tidbits and see treasures of Hartley Park. 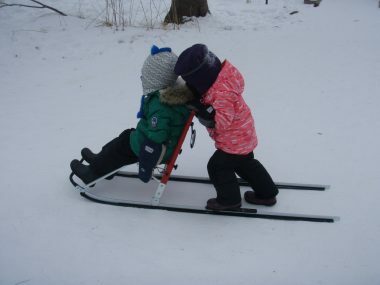 There are many ways to enjoy winter in Minnesota. This event has many of them! Luminaries line a ski trail for a peaceful night ski, naturalists lead snowshoe hikes into the silent woods, or give fat tire bike riding or kicksledding a try. A light meal is served in the building where you can also sample some brews. Round the evening off with desserts in the yurt and you have the makings of a great Minnesota night. 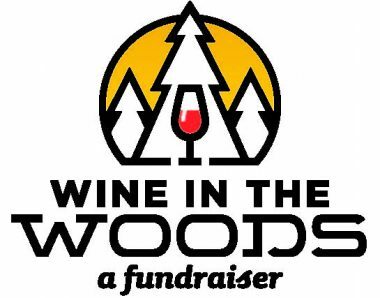 Our annual event raises funds for Hartley Nature Center programming, scholarship funds, as well as for the general operation of the center. The evening features dinner and drinks while participants look over silent and live auction items. 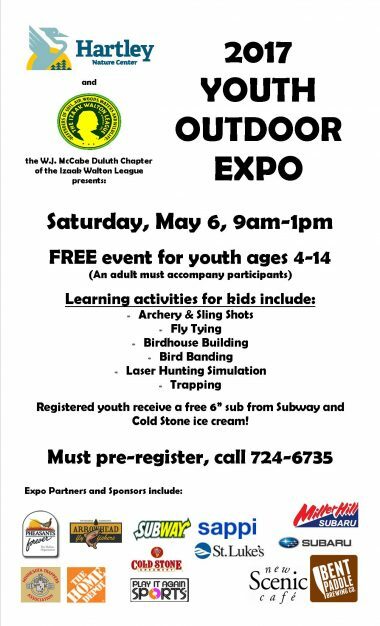 This fun family outdoor event has a number of stations set up inside and outside the facility youth and their parents learn and experience skills such as fly-tying, archery, bird banding, emergency rescues and birdhouse building. Done in conjunction with the W. J. McCabe Duluth Chapter of the Izaak Walton League, this event remains free for all participants and includes a sandwich, water bottle and ice cream. Registration is limited to 140 youth. 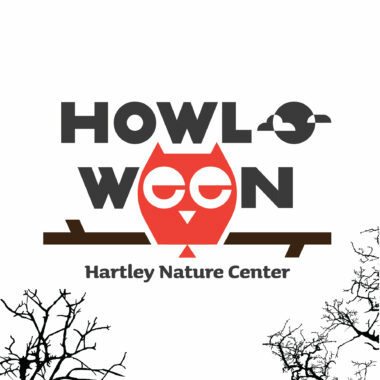 Our annual Howl-O-Ween event returns to Hartley Nature Center. Come dressed in costume, and spend some time exploring the trails around the nature center. There will be games, crafts, a critter trail, and of course treats. The event is intended for children ages 0-8, and their parents. We will have one session from 9 am – noon. This is event is FREE for HNC members, and $15 for non-member households. This event requires pre-registration, so call early to ensure a spot. 218-724-6735.